Maybe I should put out some oranges? 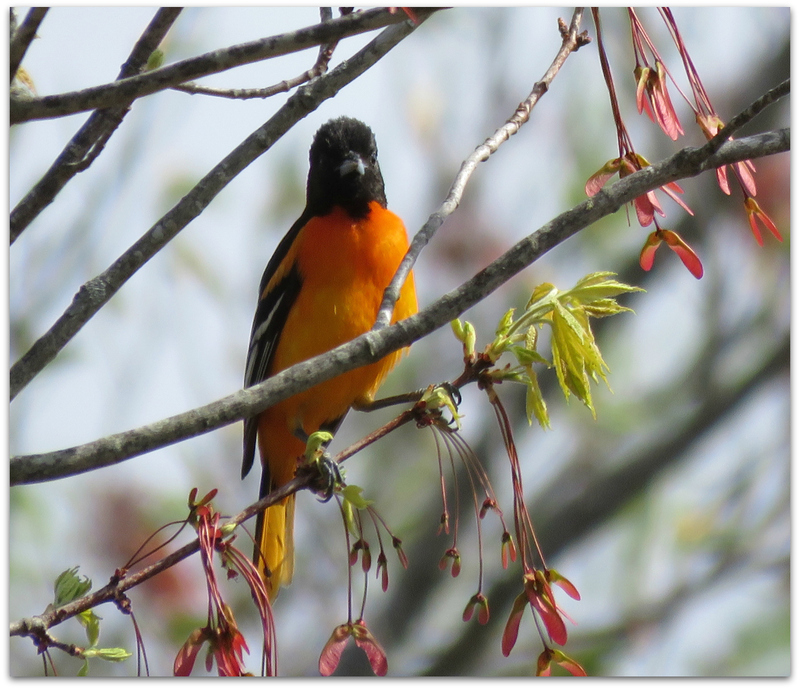 Baltimore Oriole, spotted Sunday morning just north of Banfield Road on a walk along an old rail line in Portsmouth. We saw, and heard, three males. Maybe I should try to attract them to my backyard. 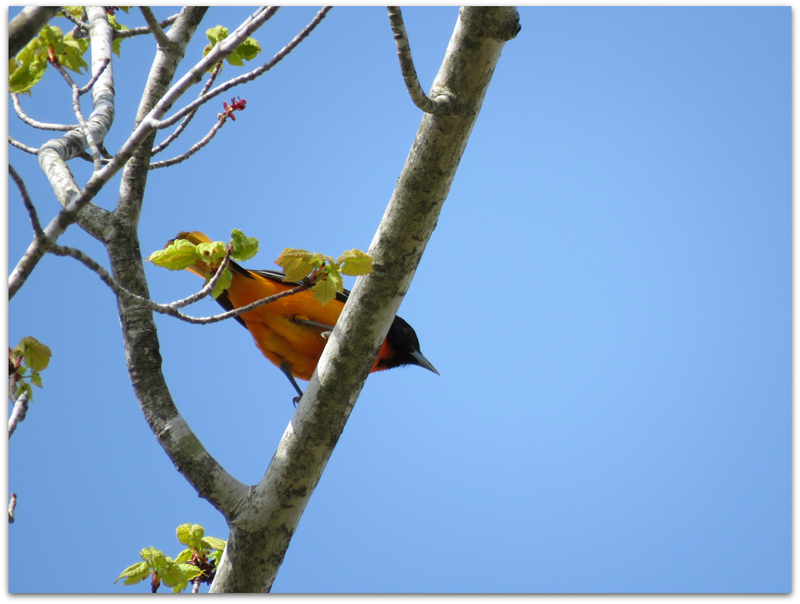 Cornell Lab of Ornithology Backyard Tips: Baltimore Orioles seek out ripe fruit. Cut oranges in half and hang them from trees to invite orioles into your yard. Special oriole feeders filled with sugar water supplement the flower nectar that Baltimore Orioles gather. You can even put out small amounts of jelly to attract these nectar-eaters (just don’t put out so much that it risks soiling their feathers). 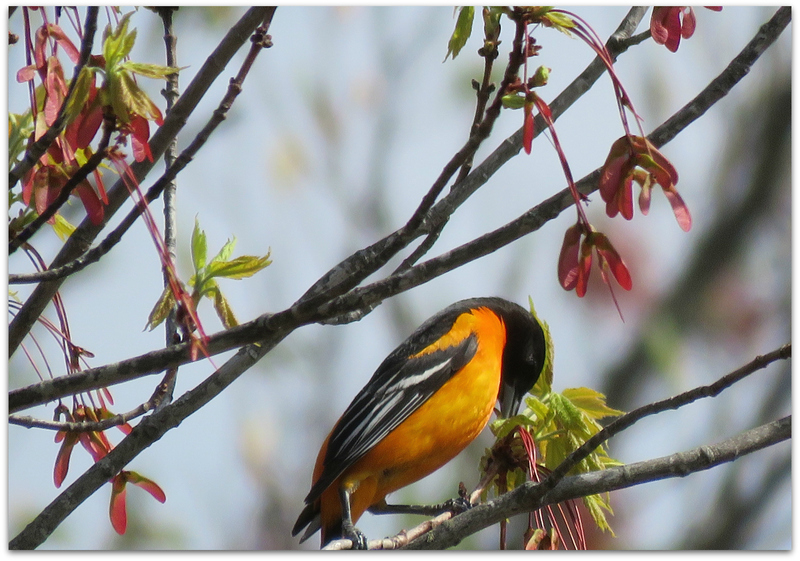 Baltimore Orioles are medium sized songbirds made of orange marmalade, black licorice, and pure, clear, whistling songs. They feed on crabapples, nectar and human tears of joy that winter is over. Find this bird by whispering a prayer to St. Francis and going outside. 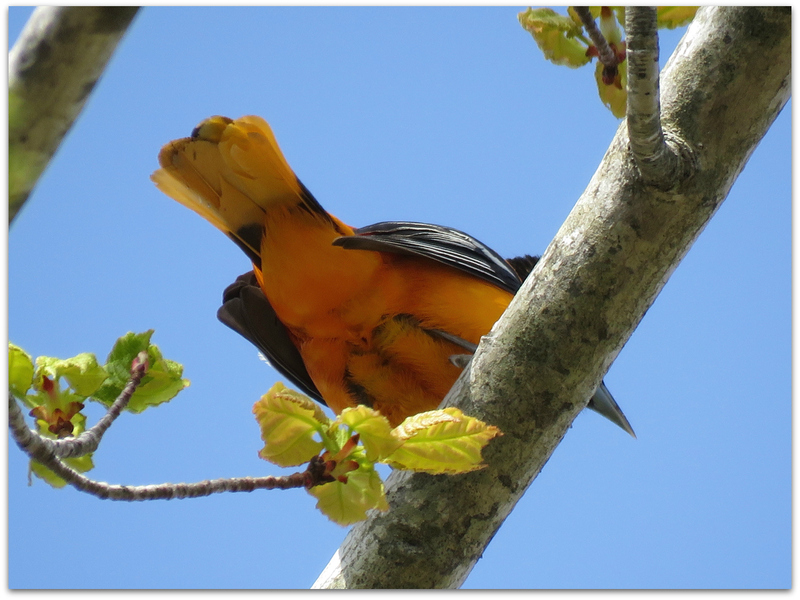 In winter, some orioles migrate to shade-grown coffee or cacao farms in Central America, while others go to sleep in the cotton canvas folds of patio umbrellas stored in garage attics. 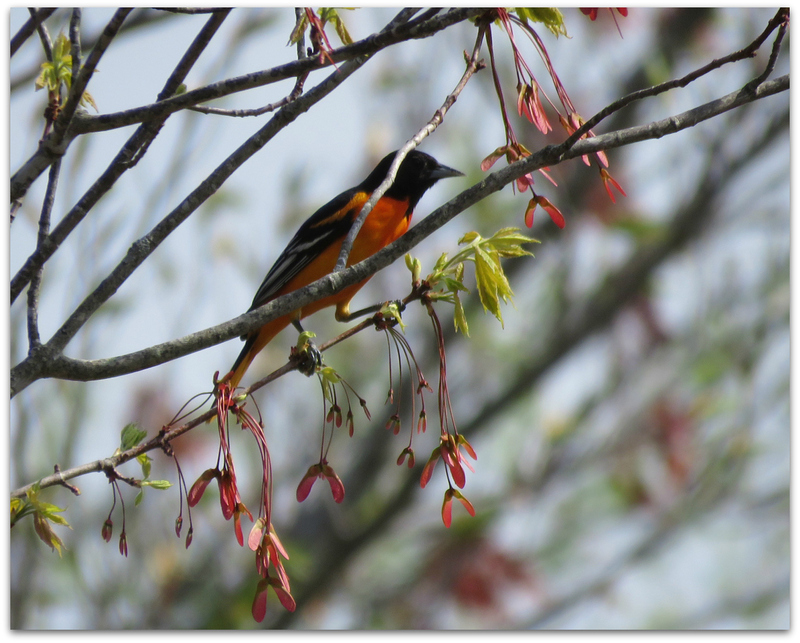 This entry was posted in Uncategorized and tagged Baltimore Oriole, birds, spring on May 12, 2015 by Amy.